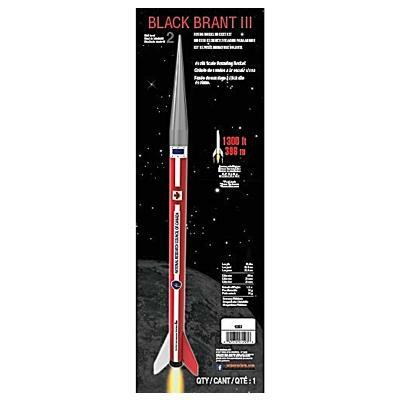 The Black Brant III is a scale model of the primary research vehicle produced by Canada Bristol Aerospace. 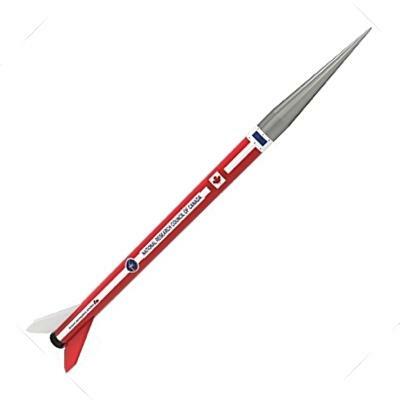 This recent re-release from Estes features laser-cut wood fins, plastic nose cone, waterslide decals and 12" parachute recovery. 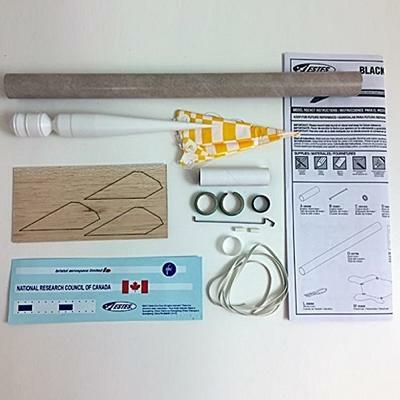 Scissors, Pencil, Ruler, Fine Sandpaper, Carpenter's Glue, Plastic Cement, Hobby Knife, Masking Tape, Paint: Primer, Red, Black, Silver and White, and Clear.